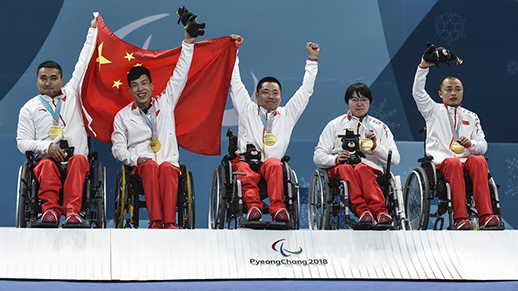 China won its first-ever Winter Paralympic medal with gold in the wheelchair curling final of the 2018 PyeongChang Paralympic Winter Games on Saturday. The Chinese team took an extra end to defeat world champion Norway 6-5 in the final, making history by winning gold as the country's first-ever Winter Paralympic medal. 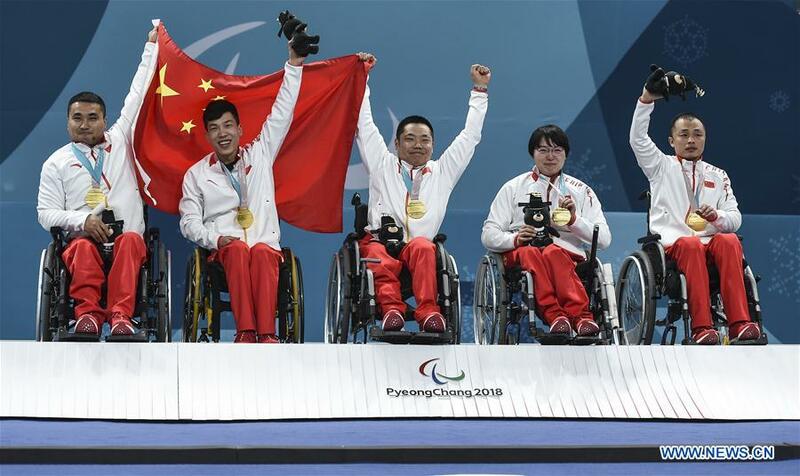 China, which finished fourth at the Sochi Winter Paralympics four years ago, beat defending champion Canada in the semi-final Friday, after recording an outstanding win-loss figure of 9-2 in the round robin. China beat Norway in the final 6-5 to claim the title of the event, which is also China's first-ever Winter Paralympic medal with gold.